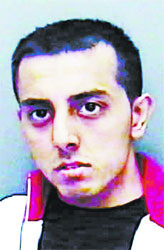 Shafkat Munir faked his death to escape £180 in traffic fines. He posed as Rasheed Hussain and claimed that Munir had been killed in Pakistan. To substantiate his claim he sent a death certificate written in Urdu to the police. The certificate contained several errors and police arrested Hussain at Munir's home address. Hussain then admitted that he was in fact Shafkat Munir. Munir was sentenced to 1year for each of 3 offences to be served concurrently, Disqualified from driving for 18 months. Fine £180.